Hello, this is the where you can learn more about my journey to become a copywriter and content creator. And why you can trust me to help you connect with your target audience, and convert them from site visitors to loyal customers. I offer the perfect blend of writing skills and experience to tackle your writing woes, and banish them for good. For years, I wrote promotional flyers, web copy, training manuals, technical documents – even feature articles – all while sitting in admin roles. 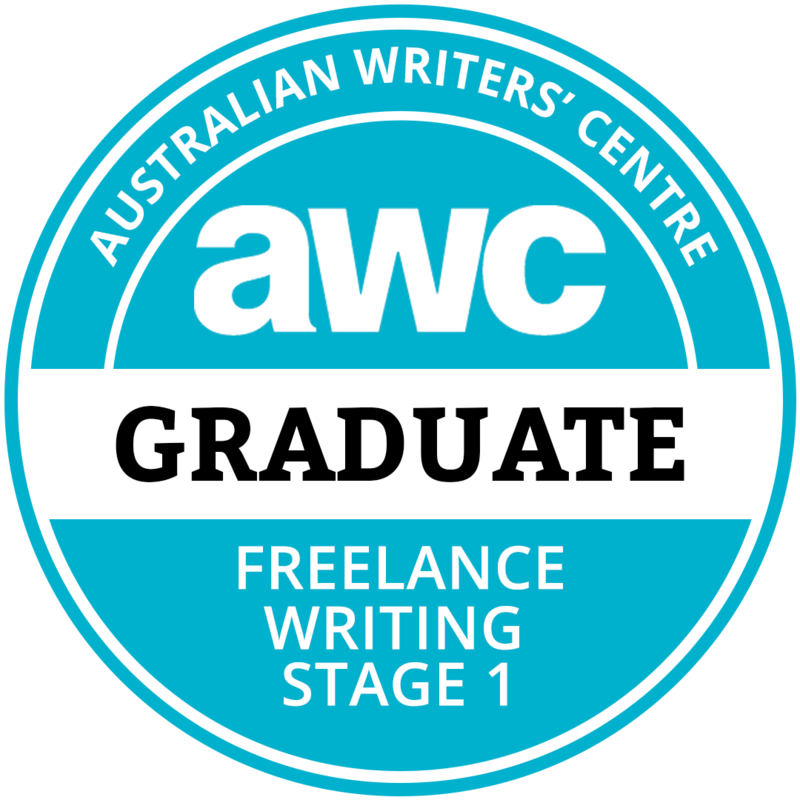 Eventually, I realised I had the experience to get serious about a writing career. But, I wanted to back that up with a solid skill set. I headed to Uni, studied a degree in Professional Writing and Publishing and graduated with distinction in 2016. While I was studying, and after graduation I regularly wrote blogs for Curtin Uni’s Careers for Tomorrow website. I launched WhizBang Writing Solutions in 2017. I’ve been helping small business owners engage and connect with their target audiences ever since. Your story becomes the backbone of the copy I write. It helps me understand the people, and the journey, behind your brand. Your story underpins your ‘why’, which is a powerful reason for people to choose your product or service ahead of the rest. Then I create clear, compelling copy that helps you attract your ideal clients and convert them into loyal customers. Want some help sharing your story? I grew up in the beautiful Roman city of Bath. But, in 1991, I stuffed my worldly possessions into a backpack and travelled to Cairns in far north Queensland. Neither the lifestyle or the weather could have been more different. But I fell in love with Australia. My life in tropical FNQ was a wild rollercoaster ride, jam-packed full of adventures and life lessons. From waitressing in open-air restaurants in 98% humidity to taking trail rides through the rainforest on horseback – I eventually worked in a beautifully air-conditioned bank. But, after six years, my curly hair couldn’t cope with the humid summers any longer. I headed out west for the dry heat of Perth, and some much-needed family time. Years later, I’m still Perth-based. But, my husband and I live a nomadic lifestyle. We’re full-time house sitters, so we take care of homes and pets for other people while they travel. Sometimes all the packing and unpacking gets a little tedious. But, the fabulous flip-side is having the freedom to grab my laptop and go travelling as often as possible. And, thanks to the wonders of Wi-Fi, I can and do work wherever I go. I’m just an email, Zoom or FaceTime away – you’ll never notice I’m gone! Wow! You made it to the bottom – you deserve a prize!